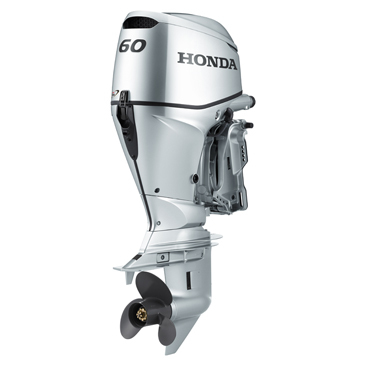 The BFP60 (Power Thrust) expands Honda's premium product range available to Australian boaters. 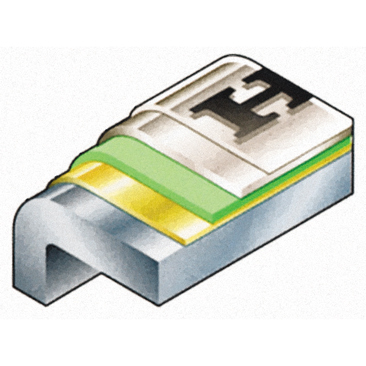 Along with Honda's Programmed Fuel Injection, the BFP60 incorporates Lean Burn Control technology, which adjusts the air/fuel mix according to speed and load to maximise efficiency.This allows combustion to operate on a leaner air/fuel ratio than stoichiometric air/fuel.An O2 sensor, together with the ECM, precisely controls the air/fuel mixture for the best fuel economy at cruise setting. The mode in which lean burn control is used during cruising to achieve higher fuel economy is referred to as ECOmo (Economy Controlled Motor).All this means that the BFP60 runs more efficiently, making it lighter on your wallet and easier on the environment. 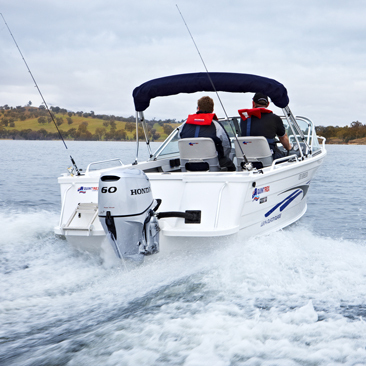 The BFP60 can communicate with onboard electronics to deliver a wide-range of information to head-unit displays.When networked with a NMEA2000 capable marine electronics unit, engine data such as speed, revs, temperature, fuel usage and other data can be displayed on the unit's screen. 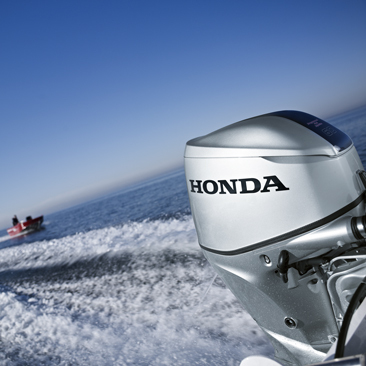 Add to this Honda's Programmed Electronic Fuel Injection to deliver the precise amount of fuel/air to each cylinder, and the result is an easy start every time.